My sister just moved back to town with her 2 kids, but my dog Muttley is petrified of children. I can’t take the chance of having them visit. What should I do? Thank you, Pat. How exciting your sister and children are back. You must be so happy about that…except for the dog issue of course. There’s no reason you can’t have them over to your home, but there are things you’ll have to take care about. First of all never punish your dog, it’s not the right way to deal with any behaviour issue. The second thing is, do not leave Muttley alone with the kids. The best thing to do is put him in a room when they come to visit and either close the door, or use a baby gate so he can still see what’s going on. You and your sister have to make it very clear to the children, they are not allowed to open the door or put their hands over the gate. Always keep them in your sight. 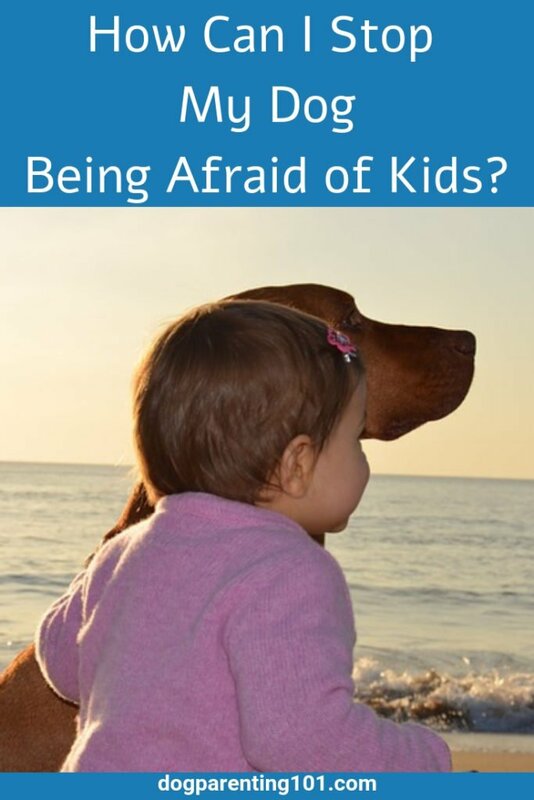 You don’t say if Muttley is fearful of children outside as well, or how his fear manifests itself, but there are steps you can take to help desensitise him to kids, and at least make him a little less anxious. For this training you’ll need to enlist the help of some kids. Take Muttley out on a leash, and at a distance far enough from the kids where he won’t react, but close enough to see them, have them toss his favourite treats, one at a time. You want him to start to learn that great things happen when he sees children, namely the food he loves the most. This is something you’ll practice regularly, a few times per session. Even when you reach the point where he’s calmer around them, never leave him unattended. That’s a great tip to put the dog in a room separated by a gate so he can see what’s going on. I hope Muttley learns that kids can be okay. It’s so wonderful to raise kids with animals, it’s really in everyone’s best interest to make it as positive an experience as possible. At least they can still see each other if there’s a gate and take the time needed to get everyone used to each other. Hope Muttley learns to be more comfortable around kids. Also hope the family follows your advice and doesn’t leave the kids alone with him. I’m going to tweet this out as well! I do too! Thanks for sharing, much appreciated. Great advice. I have a reactive fearful rescue and we work a lot on desensitizing him to dogs and strangers on his leash with treats.. Still a work in progress but safer than he was. I have to be so careful walking him or with visitors. My dog is exactly the same way! We’ve made tons of progress since we first adopted him, but he’s always going to be a work in progress. It helps so much when they’re food motivated doesn’t it? It’s so sad when a pet is afraid of kids. Pets and kids can be so great together! Good advice. it’s hared because kids will always want to come over and pet the dog, but during this training you have to make sure they don’t. 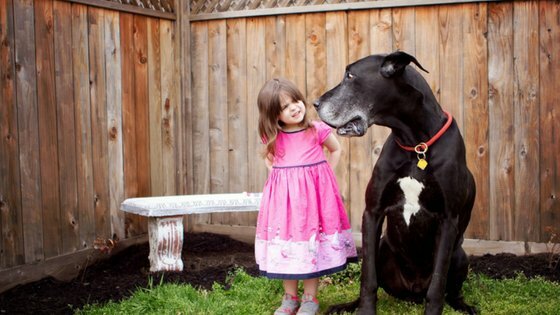 Usually people hear about children being afraid of dogs, not the other way around. Hopefully Muttley will learn that kids can be fun! I’ll probably have the opposite problem with my son. He’s only five months old and we have two dogs. They’re somewhat indifferent to him, but he probably won’t be afraid of other dogs. So we’ll have to teach him to be respectful of other dogs he comes across and that he can’t go right up to them. I know my cats didn’t like toddlers! I remember a friend visiting with her two and the girls scattered under the bed quickly. I think it was their noise and energy level. It took a couple of days after they left for the girls (and me) to get back to normal. I know what you mean, my cats were the same when my nieces were younger and they’d come to visit. They would scatter and hide under the bed, and take quite a bit of time to recover. The kids had a ball looking for them under the bed, they thought it was a game. I had to shut the bedroom door!